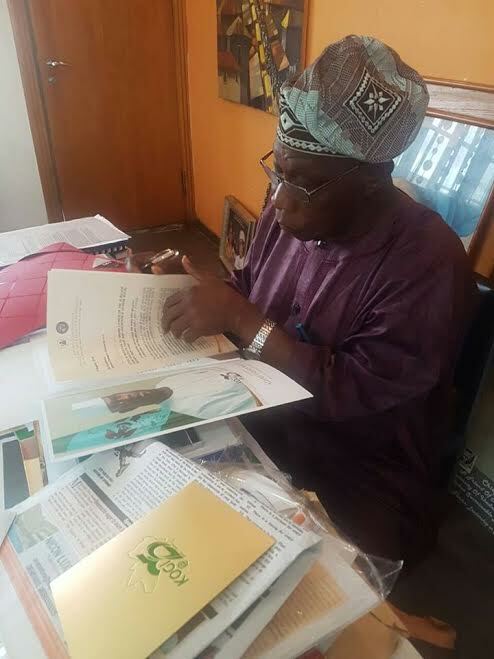 Former President Olusegun Obasanjo pictured going through his invitation to Kogi at 25 celebration. Yesterday marked the 25th year since the creation of Kogi State and various activities have been lined up for the commemoration of the anniversary. It will kick off with the unveiling of the state logo and visitation to orphanage homes today while the Islamic prayer for the progress of the state will follow on Friday, 26th.